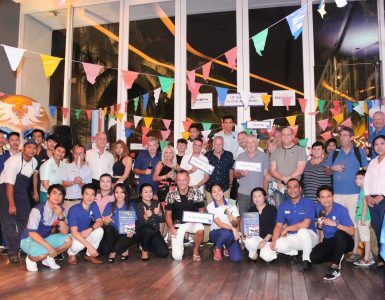 On the 20th of July, 2018, Hotel Baraquda Pattaya Mgallery by Sofitel hosted its first networking event with the Australian Thai Chamber of Commerce in Pattaya. 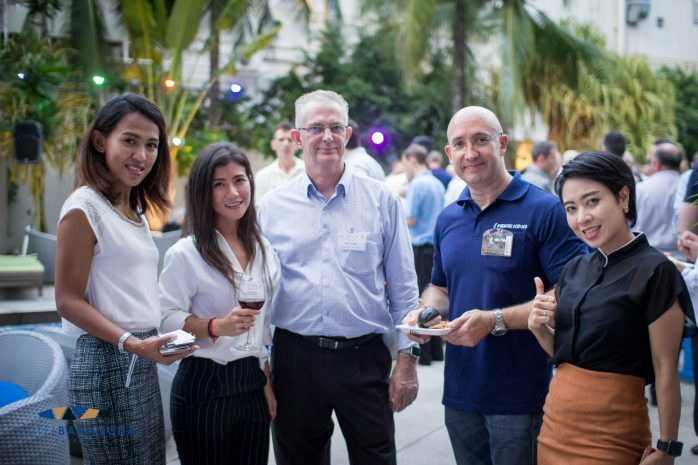 For this event, there were over 100 members from different chambers of Commerce, who came down from Bangkok to have a delightful sun downer by the Baraquda Poolside. 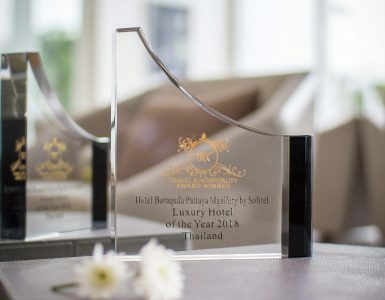 Some of them include the American Chamber of Commerce, British Chamber of Commerce, Belgium Thai Chamber of Commerce and the Singapore-Thai Chamber of Commerce. 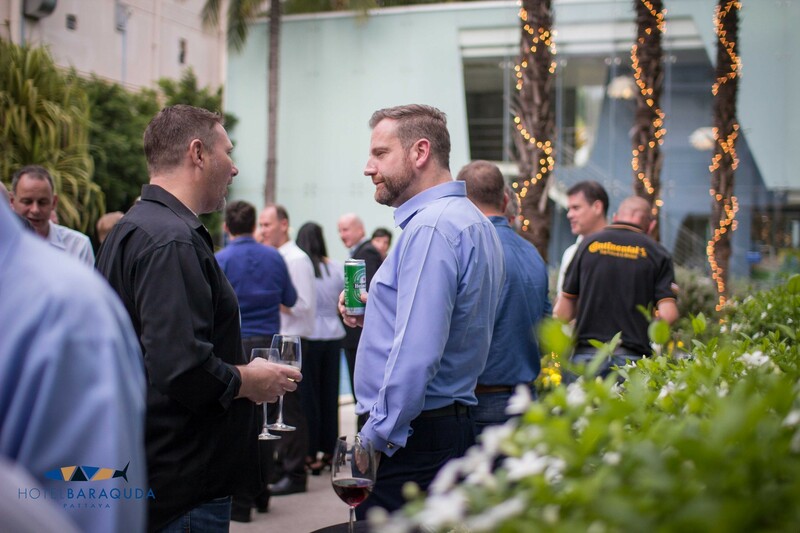 Before the Sun downer there was a workshop held at the Baraquda lounge by the Automotive Focus Group. 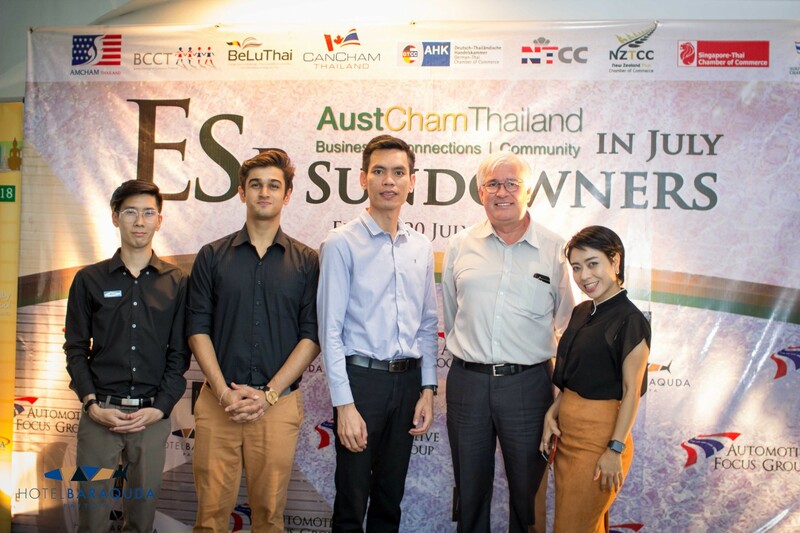 In this workshop, there were guest speakers from different companies in the automotive industry who spoke about the current and future issues that manufacturing entities in Thailand face. The guest speakers included Mr. Dennis Horton (Manufacturing General Manager at ARB), Mr. Mike Griffis (Director at Harrington Industries) and Mr. Praveen Jaduvanshi (President at Wendt Grinding Technologies). 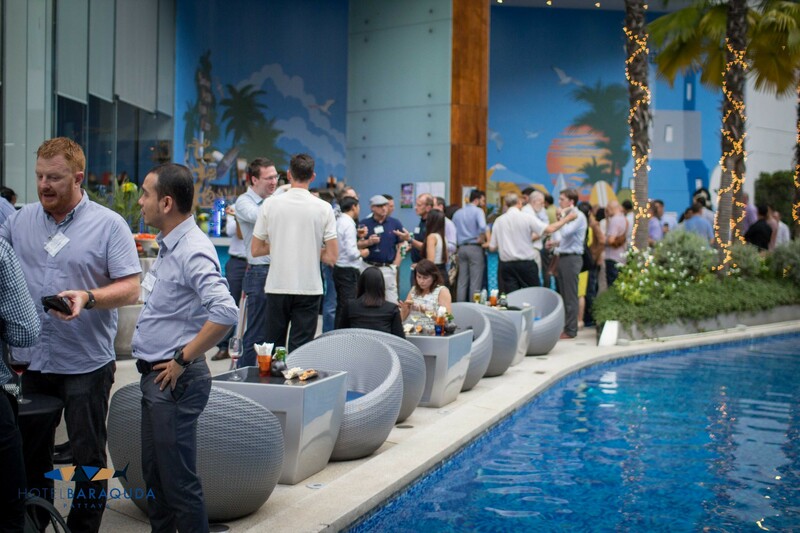 Once the workshop was over, the networking event started by the Baraquda Poolside. 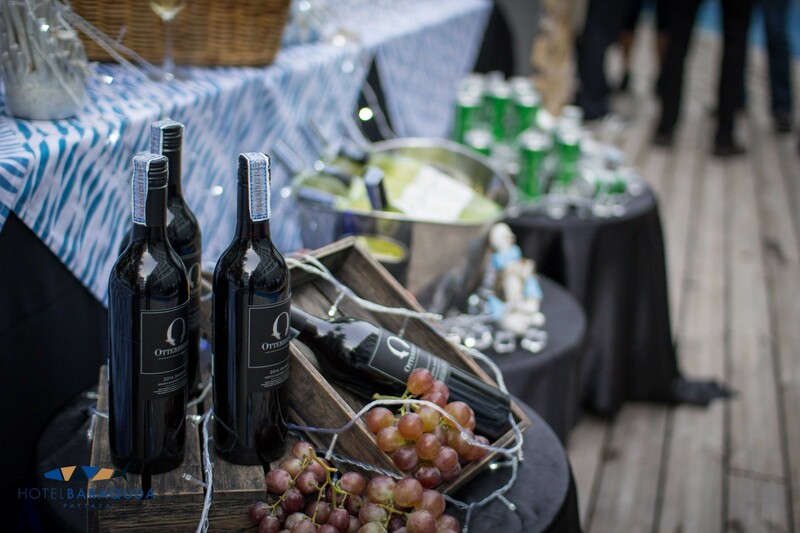 The hotel had a chance to display their F&B services at this event. Our 2 live stations were the Cheesy Sliders (Beef, Fish, Chicken served with French Fries) & Honey Roasted Leg Ham. 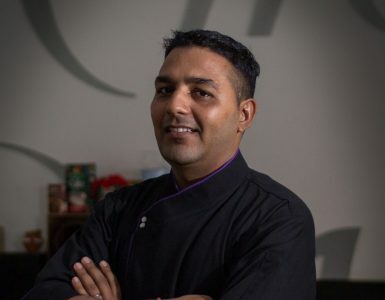 We also had a tapas buffet at one corner which consisted of Saffron Arancini, Chicken Lollypop, Baguette De Beef, La Tapenade, Smoked Chicken Bites, Spring Rolls and Chicken & Pork Satay. 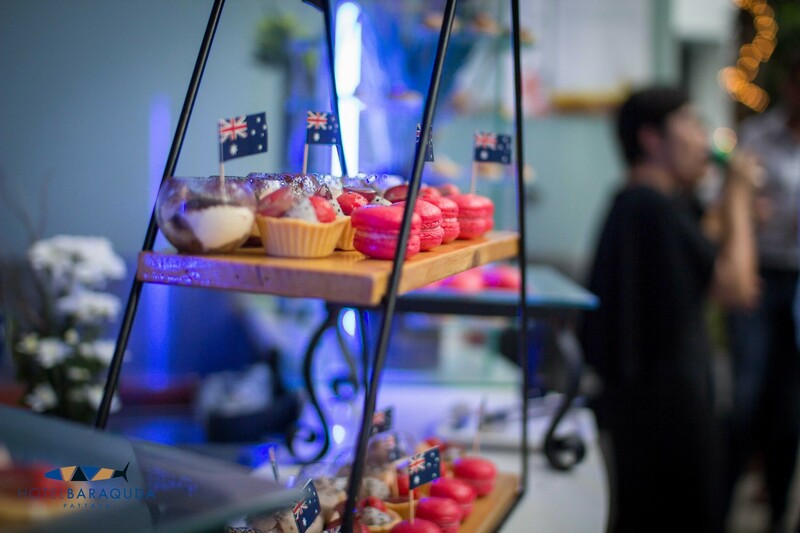 For the sweet tooth, we served a variety of cakes and bread items from our very own French operated bakery – Nauti Café.